Everyday aches and pains sometimes are unavoidable as you get older, especially when you are on your feet all day at work at the office or like me at home, running after little ones. I have a bad tendency to get leg and foot cramps, arthritic pain and more caused by my ongoing hip problems. I am not one to take medication unless I am ultimately sick. 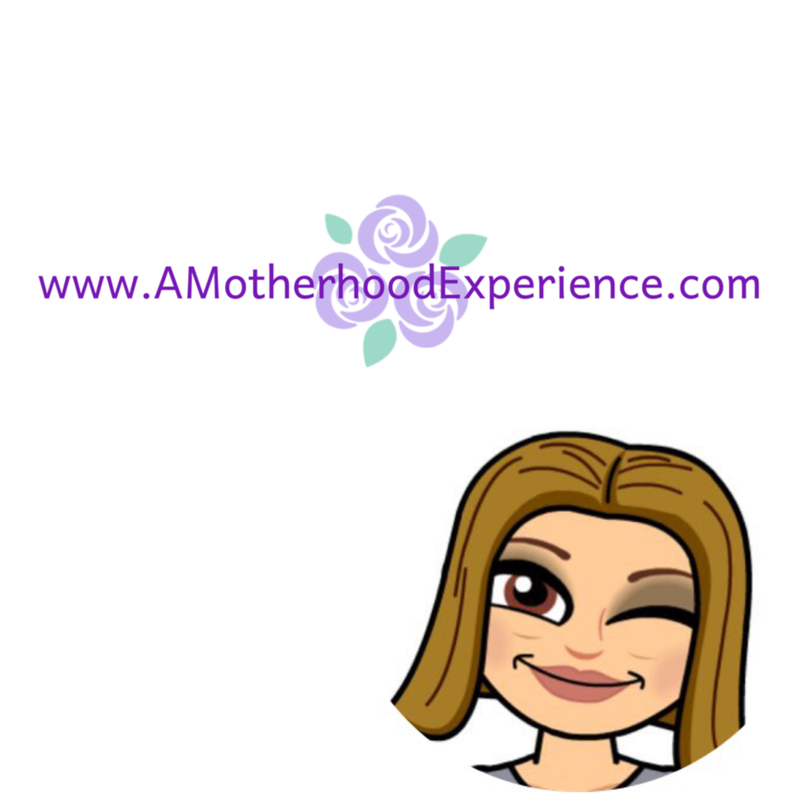 I don't like the feeling and I have kids to take care of, side effects are not an option. Typically heat therapy, exercise such as stretches and muscle rubs tend to help when the pain is bad at night but of course I am always looking for a new method to add to my therapy, anything to help. When I was asked to take a look at Deep Relief products from the Mentholatum Company of Canada, my first wonder is if it would help with some of my muscle pains. I have tried other muscle rubs in the past that worked somewhat but I have yet to find "the one". I think I have found something that works and works quickly, not only for me but for my hubby too. Here's what happened: I was sweeping the floor and I got a random but bad foot cramp. It cramped across the entire bottom of my foot and hurt to the point I wanted to put the broom down and just cry. I thought of the Deep Relief Heat Spray. I took the bottle out and sprayed a small amount on my foot where the cramp was and put on my sock. I felt the heat sensation right away, without the burn. Within a couple of minutes the heat resided a little and the pain went away. I was amazed at how quickly Deep Relief Heat Spray worked! Normally when I get a foot cramp I feel the pain for a while after the initial cramping goes away and after using the heat spray, it didn't come back at all. Deep Relief really helps! The only warning I have is use the heat spray in a well ventilated area because it's pretty potent. Next up was hubby, he had a bad headache a couple of nights ago caused by neck and shoulder tension. We tried the Deep Relief neck, shoulder and back hands-free rub. I applied it around his neck, shoulders and back area that felt tense. The applicator was easy to use and not messy. It's not smelly and it isn't greasy either. He had the same result as I did. He felt the warm sensation where the Deep Relief was applied and within about 15 minutes his headache resided and was much more manageable for him. Deep Relief products are topical analgesics that penetrate deep to the site of pain, working fast targeting pain on contact and lasting up to six hours. Deep Relief can be used in place of pain medication or in addition to ongoing pain therapy. My hubby and I would definitely recommend trying Deep Relief heat products for muscle pain and tension or Deep Relief cooling products in place of ice or cold/hot pads. My mom used to use a similar ice gel therapy for head and neck aches too. They work and come in different forms like patches gels and sprays. As any product always consult your physician if you have any major concerns before or during use. 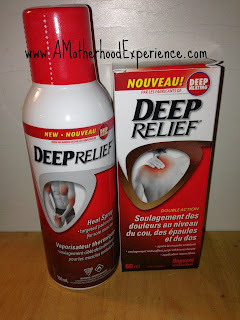 Learn more about Deep Relief products by visiting www.deeprelief.ca and follow @mydeeprelief on twitter and like Deep Relief on Facebook for the latest updates! What do you do to relieve your muscle pain? Leave a comment below and tell us! Posted on behalf of Deep Relief. Product received for review purposes. Opinions and comments expressed on this blog are those of the author. usually a heating pad or muscle relaxers.. I would use this for myself; I'd love to try it! I have extreme chronic pain but refuse to be a drug addict even though doctors recommend morphine. I would LOVE to try this. I love a soak in the tub for sore muscles! I gift this to my husband as he suffers from back pain. I do not have any method just take meds, if I win I will use it for myself. A steamy shower seems to help my backpain. I'd keep this product for myself, think it would be a good staple to have on hand in the medicine cabinet. I'd keep it for myself but would share with family if they wanted to try it out. I usually just use an ice pack when I've strained a muscle. I would try it. I use ice packs and pain relievers for muscle pains and strains. Alternate between hot and cold. I would probably gift this to my hubby, he could use it more than me! I will soak in a HOT bath to ease muscle aches! I could definitely use it for myself - as my intense work outs and physical job often leave me achy! I get a ton of tension in my left shoulder blade, I would probably keep this for the family... atm I rely on my hubby massaging it out. i go to Hatha yoga - it helps with my chronic pain. i would love to try this prize pack. I do stretching if I am feeling stiff. I would love to try Deep Releif. I use my heating pad if my muscles are sore. I would like to try the Deep Relief myself. I find some Advil and heating pad works good ... but always willing to something new! I would love to try the Deep Relief! I have chronic knee pain, so I use icing all the time. I would definitely try deep Relief! I use a warm pack when I have aches and pains. I would love to try deep relief. A hot, jet bath with Epsom salts. I would keep Depp Relief as we could use it at home to have on hand. A hot bath or massage from my husband are my go to methods. I've never tried Deep Relief before. I'd keep it for my husband and I to try. I use a heating pad! I would keep this and use it myself! I usually turn to Advil and a hot bath. I would love to keep this myself and give it a try. I would so keep this for myself as I always have aches and pains...and it is shovelling season too! I need Deep Relief and hot baths! I have no go to routine, but if i won i would give it to my husband, he has been suffering for awhile now with lots of back pain. Some tylenol and a heating pad usually do it for me. I'd give this to my sister. My go to has always been A535 but I was fortunate enough after a recent road race to have a complimentary massage (offered to all runners) and they used this Deep Relief. I"ve been looking for it since. I would definitely use it and spread the word around - and of course, share with my parents who always seem to have an ache or pain somewhere. :) tks for the chance!